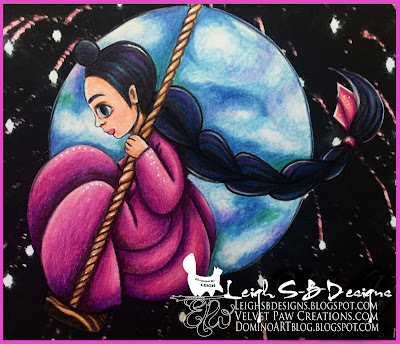 Velvet Paw Creations: "Full Moon" - The East Wind DT card! 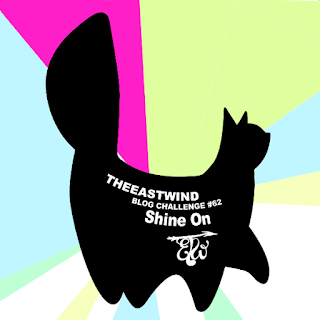 It's time for a new bi-monthly challenge over at The East Wind and today I'm sharing my DT inspiration card featuring today's new Newsletter Freebie digi called Borum and it will be up in the TEW Etsy store today! Borum-dal means Full Moon in Korean. 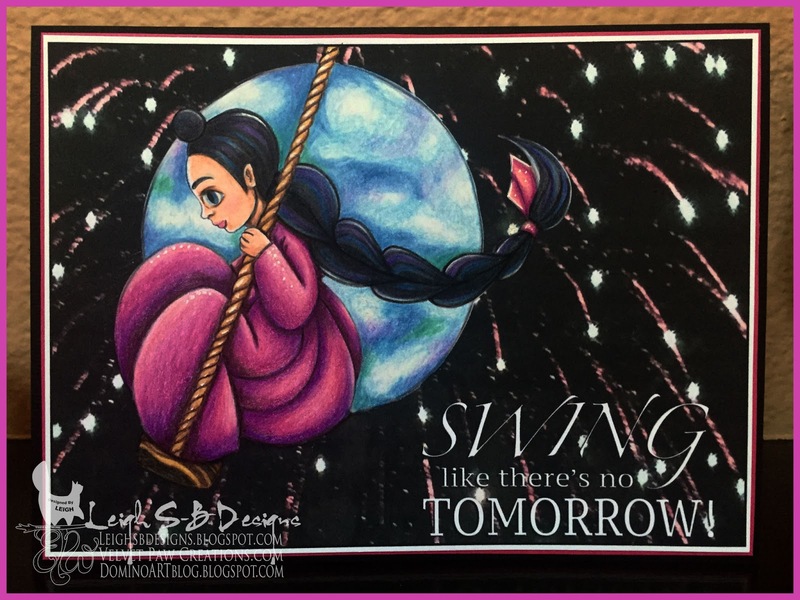 I love incorporating my photography with my rubber and digi stamping art and knew immediately that I wanted to use one of my 4th of July Fireworks photos for the background of this joyful and whimsical image. I started out by combining my photo with the digi and also added the sentiment text "SWING like there's no TOMORROW" in Photoshop CS6 and then printed out onto Neenah solar white cardstock. I coloured the digi image with Prismacolor pencils and added touches of highlights with a white gel pen. To keep the focus on the carefree "wide open sky" feeling of the piece I didn't add any embellishments and kept the layered mats narrow and simple. I left a white border when I trimmed down the printout and matted it onto hot pink cardstock and then onto a folded card made from a sheet of black cardstock.